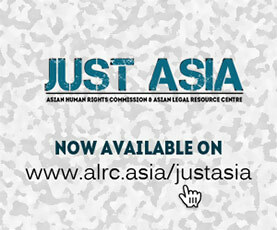 The Asian Legal Resource Centre (ALRC) wishes to draw the attention of the United Nations Human Rights Council to the draft National Register of Citizens (NRC) that India has recently launched in the North Eastern state of Assam and its far reaching consequences not only for the country but also for South Asia as a region and the world too. The ALRC also wishes to draw the attention of the Council to the fact that the final draft list leaves a whopping 4,007,707 persons out of a total of 32,991,384 people who had applied. The exercise is accused of gross negligence despite being mandated and monitored by the Supreme Court of India. The final draft is full of problems ranging from personal tragedies like that of a single family member left out of hundred plus members of an extended joint families to at places whole communities are being left out. Those excluded include even persons like family members of a former president of India, veterans of Indian security forces, policemen, kith and kin of legislators to the poor who have no papers to show. Many of those excluded complain of reasons behind their exclusion being subjective biases and the inherent flaws in the NRC of 1951 and the electoral rolls of 1961 and 1971 that make up the core of the ‘legacy data’. There are many cases in which the direct descendants of those figuring in the NRC of 1951 having been left out from the final draft. The primary reasons behind this include clerical errors resulting in misspelt names right from the parents to those of the claimants now, mismatched relationships and so on. Most of the people being very poor and living in areas routinely affected by floods have also lost their documents. There are also large-scale complaints of the sectarian biases based on linguistic identity having played against even genuine claims of many of those left out. Chief Minister of West Bengal, a state neighbouring Assam, has complained of Bengali speakers having borne the brunt of the exercise with about 3.8 million of those left out from the NRC, or almost ninety percent, consisting of them. There have also been allegations about a systemic bias against Muslims, a religious minority community in India and Dalits, erstwhile victims of untouchability now protected by the constitution and listed as Scheduled Castes. Matua Mahasangha, a religious organisation consisting principally of Namashudra Dalits with origins in Bangladesh, gives credence to this argument and claimed most of those affected are members of the community. The argument gets further support from the fact that India has seen a continuous influx of Hindu refugees, mostly poor Dalits, fleeing persecution in Bangladesh. Studies estimate the total numbers of those who came to India seeking refuge at around 11 million, settled mostly in West Bengal, Assam and Tripura. Though both the government and Supreme Court of India have promised another chance to all those left out to prove their citizenship along with no coercive measures against them till then, many fear losing their citizenships as all the documents they had have already been produced. Estimates of those finally left out are as high as 2 million. Further complicating the situation is the fact of Bangladesh’s stern refusal of having anything to do with those left out. Authorities in Bangladesh have already called this issue an ‘internal matter of India with ethnic undertones’. This effectively turns those finally left out as stateless people with nowhere to go adding almost 2 million to already huge number of 10 million people currently estimated to be stateless. That gives rise to the fear of large internment camps for those excluded from the final NRC list, violation of their human rights and another humanitarian crisis for the world. 1. Ask the government of India to exercise extreme cautiousness in the registration of the citizens and ensure that not a single genuine citizen of India is left out because of clerical errors or a lack of documents missing because of reasons beyond the control of applicants. 2. Ask the government of India to mobilise all authorities in the state of Assam as well as other states like West Bengal, Bihar and others from where many of the people excluded from the draft list come from to cross check their claims and help them secure their documents. 3. Ask the government of India to take concrete measures to dispel the allegations of discrimination against people on the basis of religion and caste and that nobody is denied citizenship because of discrimination. 4. Ask the government of India to urgently engage with the government of Bangladesh to find solutions in case of people still getting left out of the NRC as it claims that most of the ‘illegal’ immigrants are from Bangladesh. 5. Ask the government of India to not take any coercive action and deny people of their fundamental human rights and work for a humanitarian solution to the impending crisis.